Think Gum, EEG headsets, and the world's first Personal Brainer—the Neurogaming Conference returns in 2014 as one of the most entertaining, futuristic, and downright crazy conferences of the year. 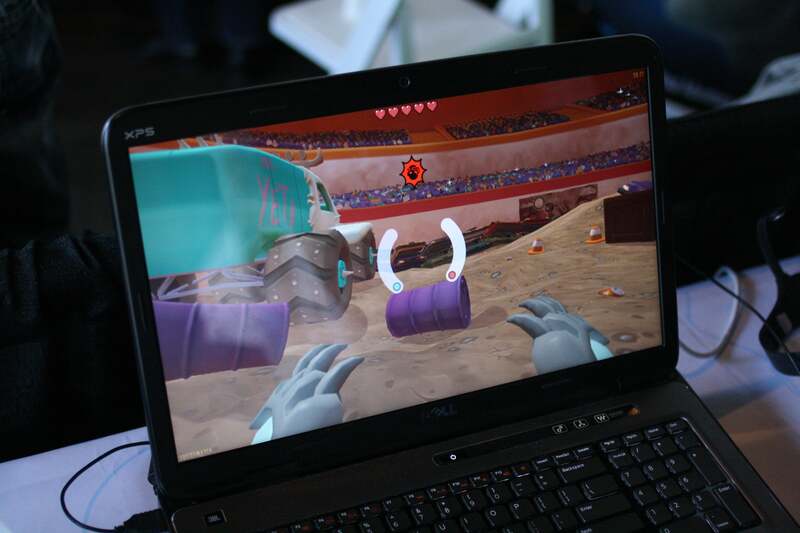 At NeuroGaming 2013, former PCWorld editor Alex Wawro and I arm-wrestled each other using only our brains. 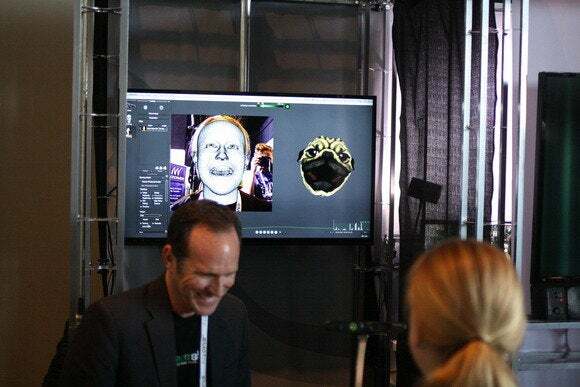 While nothing quite that crazy happened at the 2014 sessions, I did shoot fireballs, control Infamous with my eyes, meet the world's first "Personal Brainer," chew some Think Gum, and even had my face scanned into the grid, Tron-style. Here's all the brain-bending neuro action in pictures. Ed Fries, co-creator of the Xbox, kicked off the day with a presentation that discussed why it's so futile to try and predict the future—because, ultimately, the most important discoveries are often ones that are impossible to predict. He presented a slideshow of what the Victorian era thought the future would look like—mail delivered to your house by airplane, luxurious personal submarines for all, and even cities covered by enormous roofs to keep the rain off. "But," said Fries, "you never see a machine that runs itself. 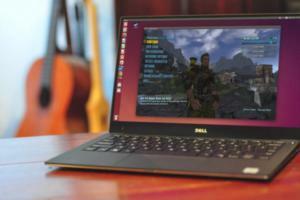 Something like a computer is just completely beyond comprehension." 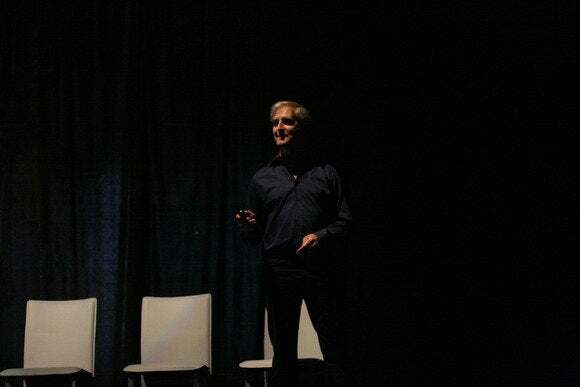 He wrapped up by quoting computer scientist Alan Kay: "The best way to predict the future is to invent it." "Yer a wizard, person with an EEG headset on." That's the idea behind NeuroMage—a wizard duel to the death that relies on your staying calm to cast magic. 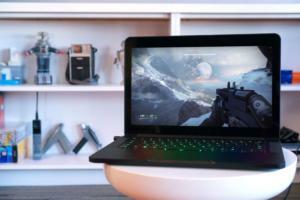 You thought games were already relaxing? Apparently we need a game to teach us how to relax better. You start out weak, with no spells at your disposal. The only way to learn new spells is to stay calm and meditate for a certain amount of time. Before, of course, murdering your opponent. Then there's Throw Trucks With Your Mind. The title is pretty self-explanatory, though you can do a lot more than simply throw trucks—you can also (if you're calm and focused enough) turn invisible, put up a force field, or jump extremely high. 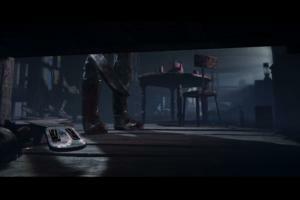 It's like a first-person shooter that relies on your brain strength. 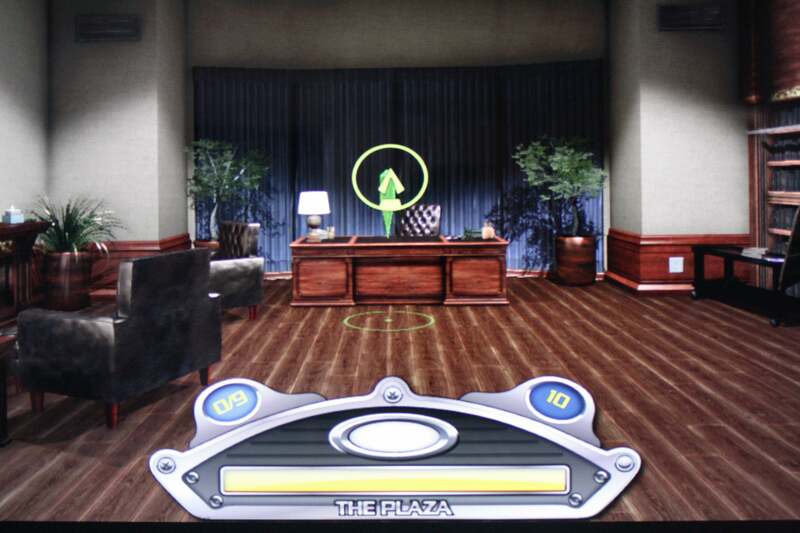 The Plaza, by Intific, is more like a Myst-style point-and-click adventure game than these others. Instead of wearing an EEG headset you merely walk around the world and solve puzzles. 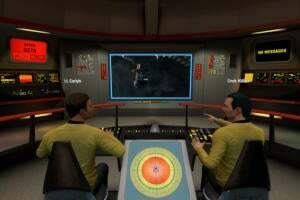 However, the puzzles in question are more similar to brain-training games like Lumosity. Even Sony attended the show in some form. Sony's Magic Lab—a research and development unit—brought along a build of Infamous: Second Son that uses eye-tracking to aim and move the camera instead of the right analog stick. Flick your eyes toward a mailbox, for instance, and the camera automatically adjusts to make that the center of the screen. 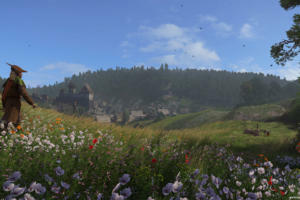 No word on whether this technology will make it into the current console generation (I somewhat doubt it) but it was a fun and intuitive way to play. 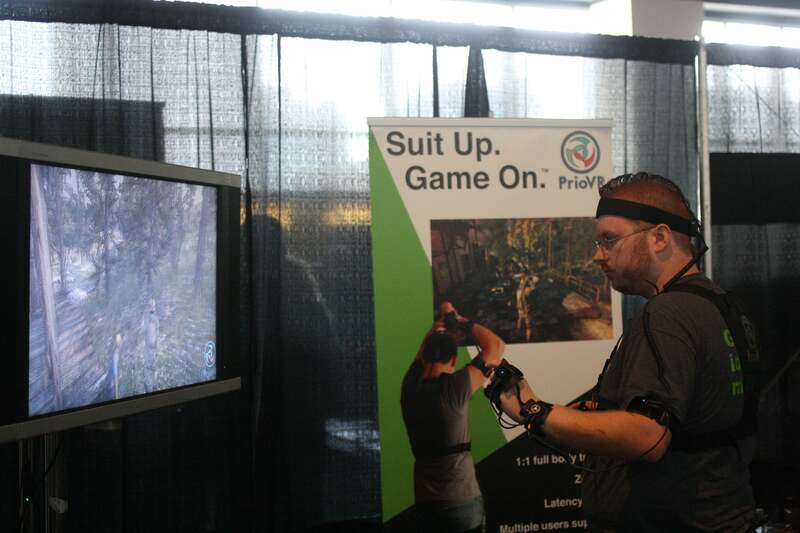 PrioVR demonstrated a full-body harness that tracks each limb and your torso independently and translates that movement into the game, allowing you (for instance) to aim down a rifle's sights or crouch behind cover. PrioVR said they're looking at potentially teaming up with other VR solutions, like Virtuix's Omni treadmill, though everything is still in early stages. It wouldn't be a Neurogaming Conference without crazy electroencephalography (EEG) headwear. This one comes courtesy of Neuroelectrics. 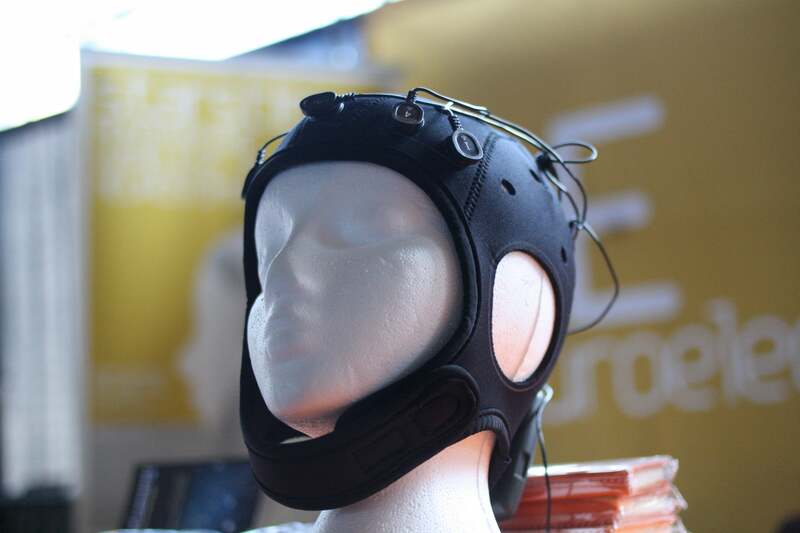 EEG headsets measure the electrical activity of the brain by making contact with the scalp. 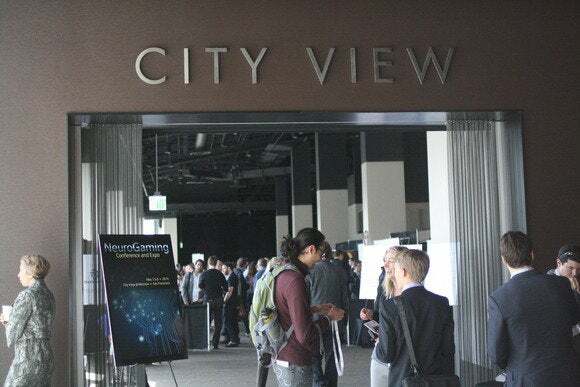 They're at the heart of neurogaming—and there are a lot of them out there on the market, even if you're not aware of it. Actually, there were lot of EEG headsets. 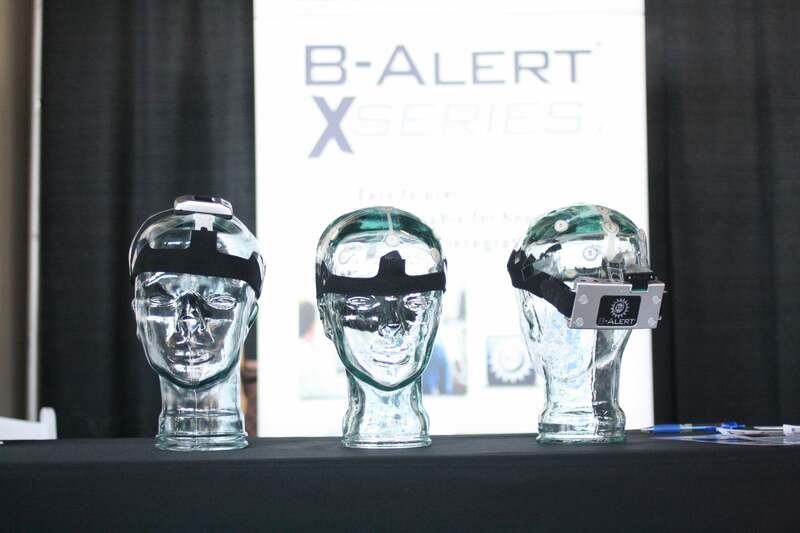 This is the B-Alert headset from Advanced Brain Monitoring. There are so many EEG headsets on the market that developers I talked to had to specify whether their programs were platform-agnostic. I'm sure we'll see a similar situation crop up with VR in the next few years, once the Oculus Rift has some viable competitors. This board, created by OpenBCI, aims to open up EEG monitoring to the maker community. The team has created a 3D-printable headset, allowing anyone with the board and a little technical know-how to create a personal EEG monitoring device. 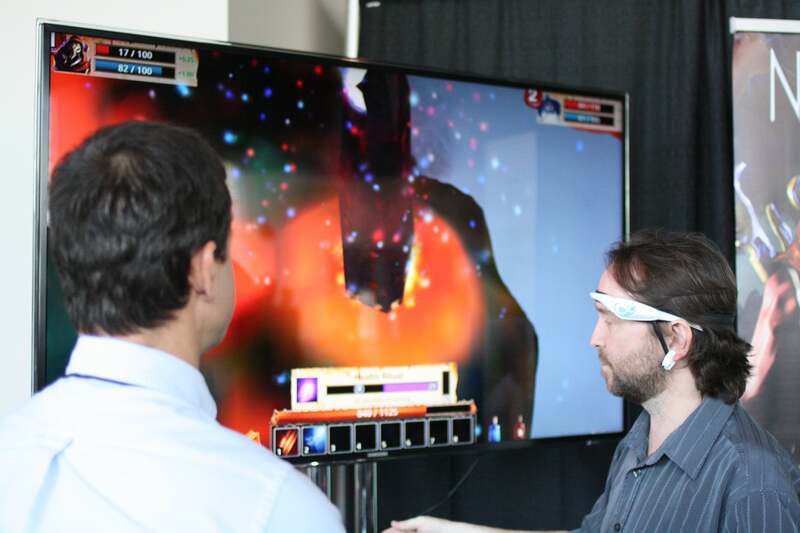 On the other end of the spectrum is NeuroSky, which at this point is a veteran on both the EEG and neurogaming scenes. 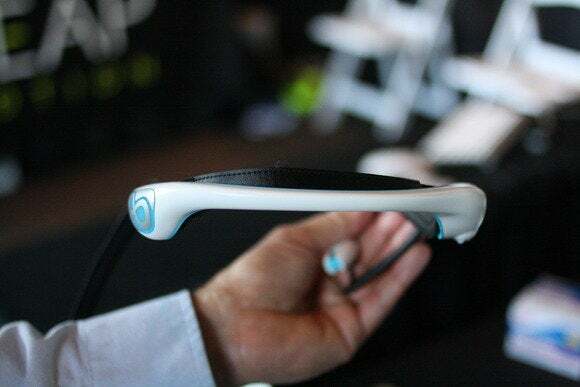 NeuroSky demonstrated its upcoming headset for me, the BrainLink. It has an adjustable leather band to fix it in place instead of relying on mere tension, and thus it can be used when leaning back or even lying down. 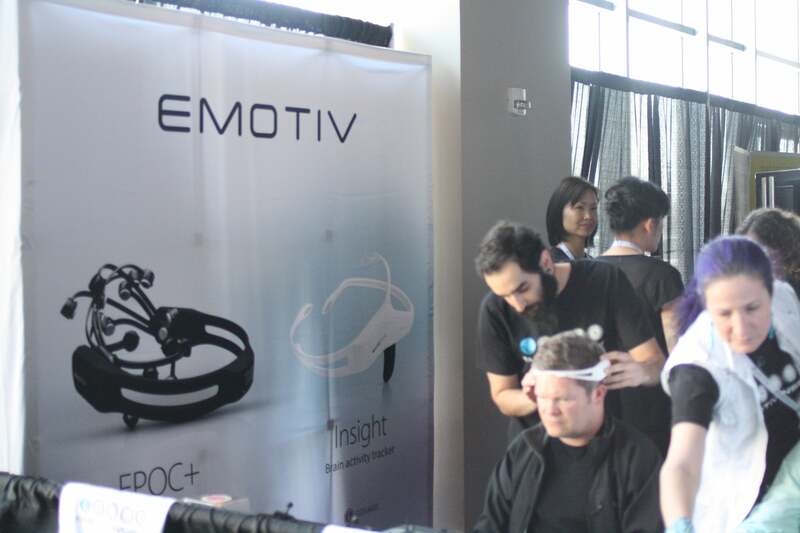 And finally, Emotiv showed off its new Insight headset, which Kickstarted to the tune of over $1.5 million last year. At Emotiv's booth, attendees needed to focus their brains in order to watch a flower bloom. Then, most of them would be so surprised they'd immediately lose focus and watch as the flower closed back up. 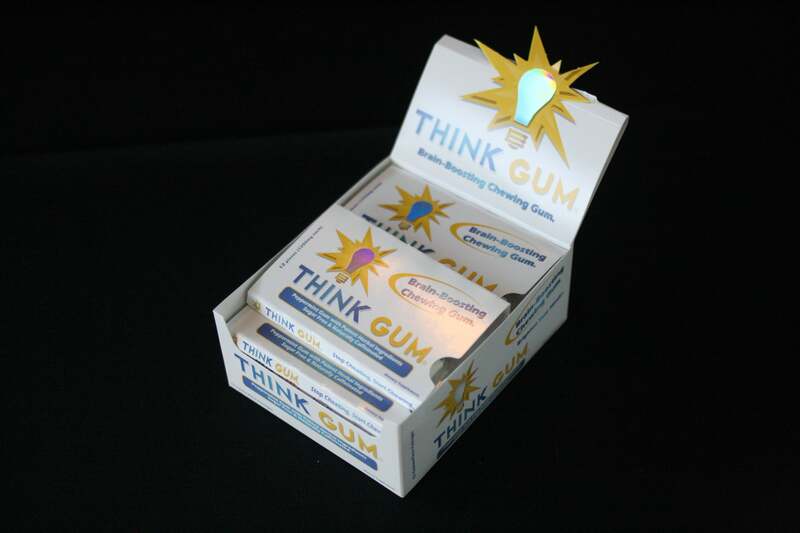 "Think Gum contains the brain-boosting ingredients Gingko Biloba, Bacopa, Guarana, Vinpocetine, Rosemary, and Peppermint. According to a published, peer-reviewed study, Think Gum improves memory by over 25%." That's what the back of the box says. 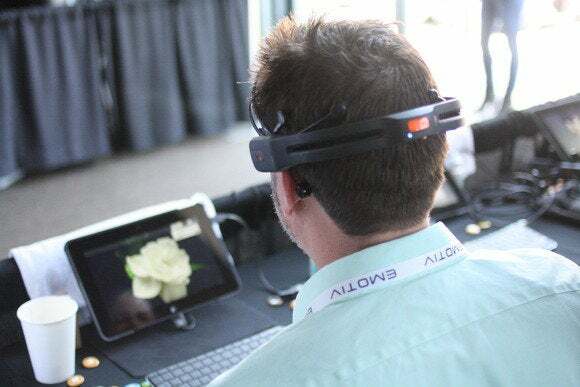 It wasn't all EEG headsets at the conference. 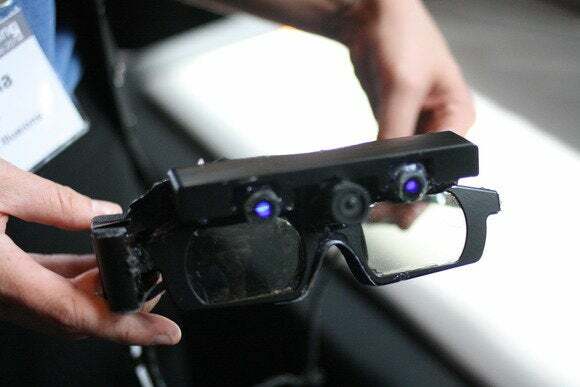 CastAR was there, once again showing off its alternate-reality headset. 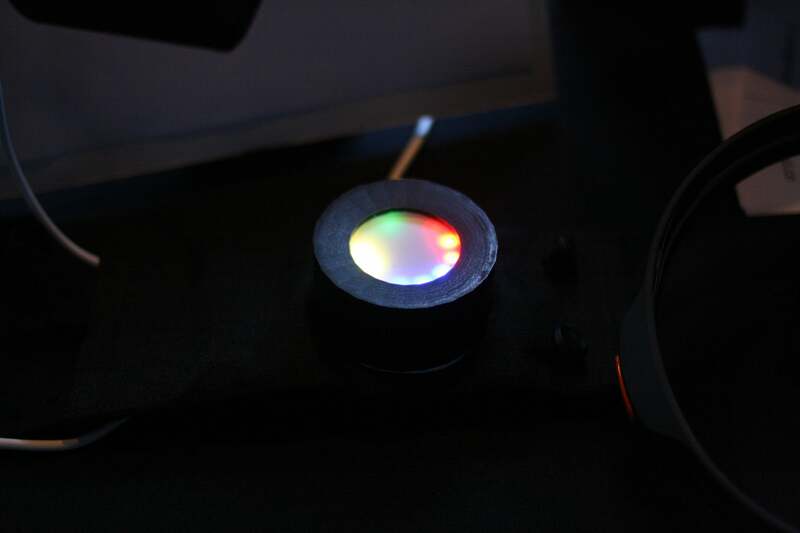 The first developer kits go out this summer, so we should see some interesting applications of the technology in the next few months. These green-lit cylinders are actually exercise equipment. Seriously. That's what I was told by Briim's Reidar Wasenius, who dubs himself the world's first "Personal Brainer." Wasenius works out of a 5,000 square foot brain-training facility in Finland. There's a Reuters video profile of the facility here. 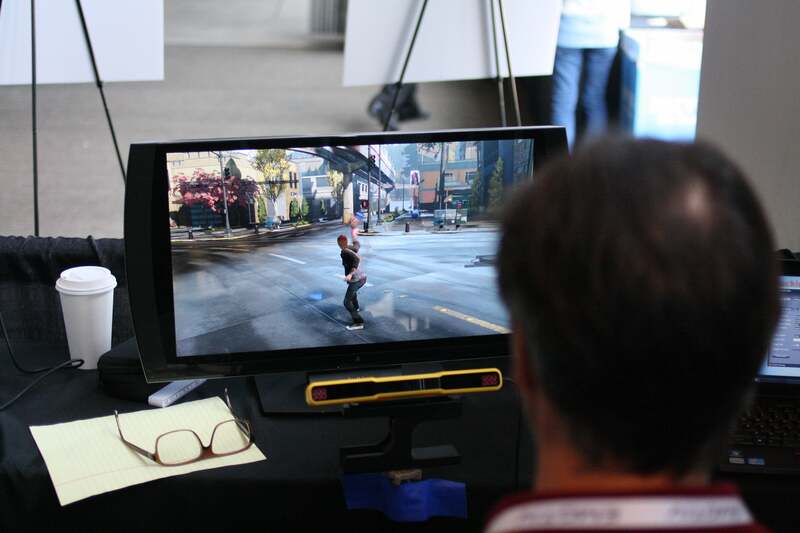 Over the weekend, prior to the conference, Brainihack held a neurogaming-focused hackathon. This small prototype, dubbed MoodBand, took first place. 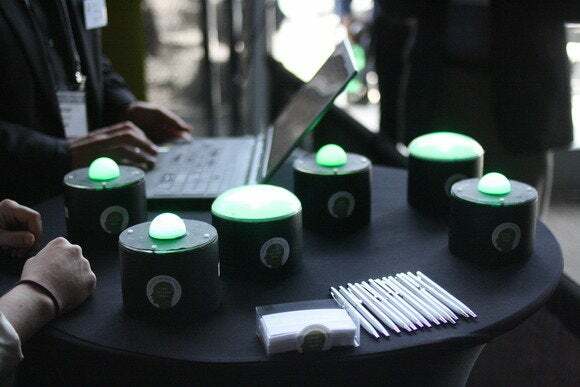 MoodBand joins the ever-more-crowded wearable market, allowing you to see your brain patterns (and their intensity) at any given moment through a combination of colored LED lights. And finally: Faceshift, a remarkably quick animation tool that tracks your lips and eyes and rigs them to characters. This woman is currently making that adorable pug's face smile. Aw, it thinks it's human. 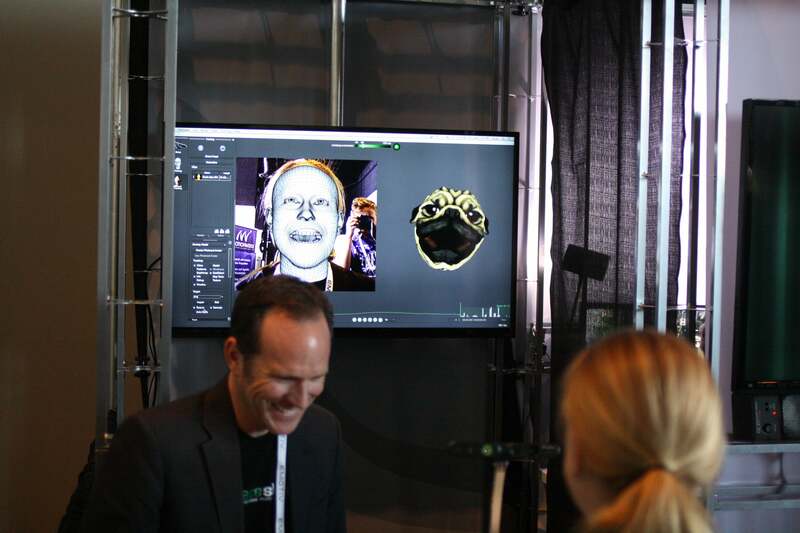 Of course, I had to scan in my own face. It only took about thirty seconds, and then I had full control over the software. 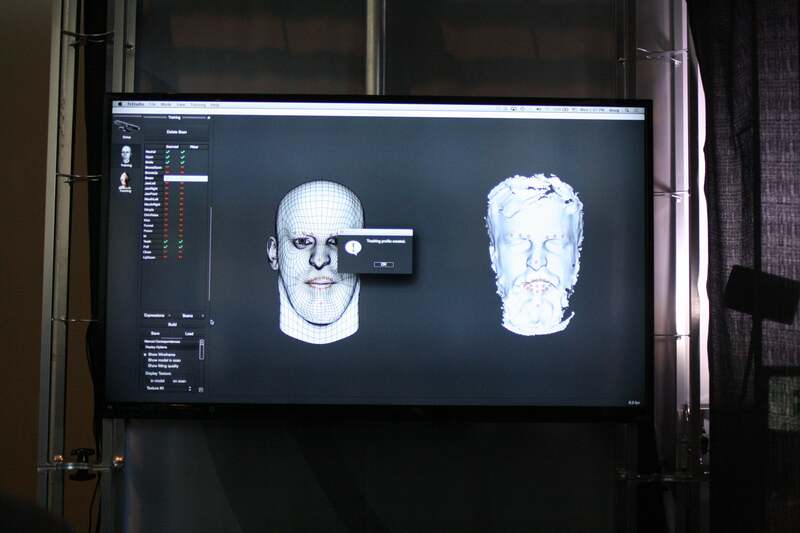 That's me on the right—the guy on the left with the enormous chin is what the program thought my face looked like, since it doesn't understand what beards are.